Please join us on Wednesday, August 3rd at 6 PM at the West Gardiner Rest Area (intersection of Rt. 126 and I-295) for this important meeting. The elections are being held at the meeting to give the parents of the Middle School and Midget aged parents that will have the most vested interest in the upcoming season team opportunity to run for these offices. Nominations can be emailed to the current president at: president@gardinerhockey.com. Annual Meeting and Banquet - Come Celebrate With Us! Bantam Tier 4 - State Champions 2015-2016! The Gardiner Bantams have won the State Championship for the 2015 - 2016 season! Way to go Tigers! Congrats to the Gardiner Bantams - Central Zone Champions - 2016! 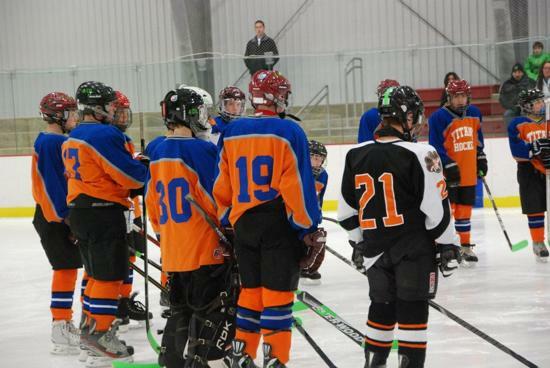 The host organization has published the Bantam Zone Play In tournament information and schedule. Please click on the link below to download the flier. The rink schedule has been posted for the Bantam State Tournament as well. Click on the link below to view it. Also, we are hosting the Bantam State Tournament and are looking for volunteers to donate food items and to staff the registration / concession table as well as the food tables. Please click on the Fund Raising menu item or click here to go directly to the Sign Up Genius page. The 2016 Cash Calendar Fund raiser winners are posted below. I am waiting for confirmation on who our top sellers were and will be posting those as soon as I can. The Mites will be playing in a tournament hosted by the Gladiators at the Norway Savings Bank Arena from Friday on Jan. 15 - Sunday Jan. 1. Click on the the document below for a flyer with all of the game schedules. Registrations for 2015 - 2016 Open!! Send In Your Registrations NOW! Did you miss one of our open registration nights? Not to worry - you can still register for the 2015 - 2016 season online - just click on the Registration Page menu option. You can fill out the "offline" paper forms and mail them to us or use the online registration tool to register electronically. All new and returning players need to register using one of these options. Also, be sure to sign up to receive our e-mails on the E-Mail Sign Up Page. We will be posting information on equipment fittings and practices as soon as it becomes available. Bring a friend - they get to join for our low introductory offer of just $99 for the season!!! If you have more questions, please e-mail me at: president@gardinerhockey.com anytime. 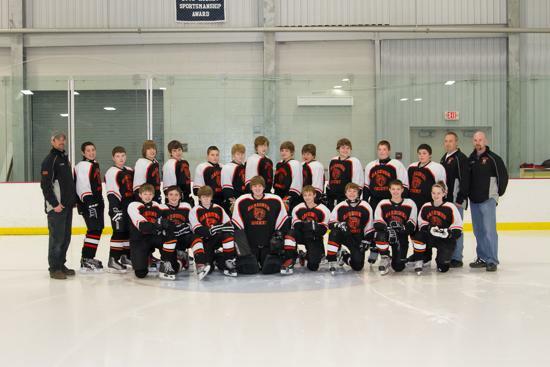 Be A Tiger Hockey Ambassador! We all love hockey and can't wait for the new season to start. We have enjoyed great success over the years, had a ton of fun, played in tournaments both here and out of state, won games and tournments and have developed some great youth hockey players. There is oniy one thing left to do to make the 2015 - 2016 even better than last season - SHARE IT WITH OUR FRIENDS!. We have a really special hockey association - one that is small enough to provide focused, dedicated coaching to all players and one that is big enough to field teams at all age levels and provide an environment for FUN, development and success year after year. This year, let's share this program with a few more friends, make our teams even stronger and grow together as Tigers. Gardiner Youth Hockey Association offers special rates for new players to our program, equipment to borrow (while supplies last) and those intangible benefits of being a small family style organization that has fun together. Click on the flyer below to learn more and to provide answers to questions that new players / families may have. Let's play hockey - together! This is a friendly reminder that ALL Coaches MUST be current with their Safesport training before they are allowed to be on the roster for their team. Midgets season is starting and before you know it, so will the regular season. In addition to coaches, it is highly recommended that all adults who will have regular interaction with the players (such as Team Reps) take this training as well. It is not hard, does not cost anything, and provides a lot of really good information. To take the training or a refresher (the system will know which you need), click visit the Safety section of the USA Hockey website here. The Safesport Training is provided by a third party and it is very difficult for Registrars to search for who has completed it and who hasn't. To make it easy, please print a copy of your completion certificate and submit it to both our Registrar and Safesport Coordinator. Even better, save it at a PDF so that you can reproduce a copy as needed and e-mail the PDF to the Registrar and Safesport Coordinator. *GEEK TIP* - use a browser like Google Chrome and you will have the option to save the certificate directly on your computer as a PDF, rather than printing and scanning it back in. For those in need of their Level 4 coaching certification, please see the note below from MeAHA and the document that follows for upcoming coaching clinics in New England. Information on Level 4 clinics for New England this summer is attached. Please ensure that ALL level 3 coaches that you have in your program understand that if they need a Level 4 they need to attend one of these clinics! Also, just as a reminder, ANY coach in the 4th year of coaching that could be moving on to a National Championship tournament MUST be Level 4 certified! This would affect TII Bantams, 16U Midgets, 18U Midgets, 19U/16U/14U Girls. Waivers and Temporary cards will NOT be granted so get your coaches to a clinic. NOTE: Please bookmark that page and check back regularly as game schedules have been known to change as late as the day before. We are all excited to see our players back on the ice and have some fun with this end of the season tournament. See you in Marlborough! 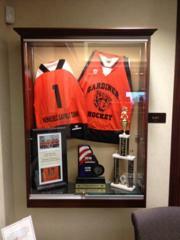 PeeWees: Your State Championship jackets will be ready and can be picked up in Marlborough. The cost is $56 and they must be paid for before receiving them. Thank you for your understanding with this. Congratulations PeeWees - State Champions!!!! For the 3rd year in a row, the Gardiner Youth Hockey PeeWee Team has won both the Central Zone Championship to advance to the State Tournament, where they then won the Tier 4 State Championship!!! They did so in an amazing 4-3 overtime victory. Congrats to all the players, coaches and families that have made this another great season!!! Congrats PeeWees! On to States! For information on the upcoming PeeWee State Tournament, click on the document below. 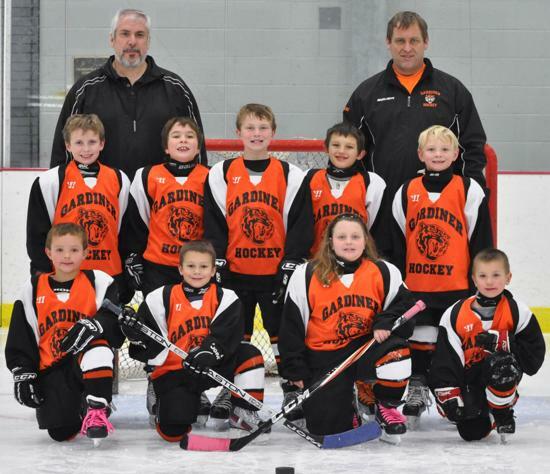 Gardiner Youth Hockey is returning to Marlborough this season for the March Classic. We will be entering our Bantam, Peewee and Squirt teams in the tournament that takes place ove the weekend of March 27-29. This is always an exciting event for the players with tons of hockey in a multi - rink venue. We have reserved a block of rooms at the Hampton Inn in Marlborough. Please take a moment to call and reserve your room as soon as possible. Click on the following link to go to the Hampton Marlborough hotel information. Please be sure to CALL the hotel at: 1-508-787-9888 and request one of the hotel rooms in the reserved block of rooms for Gardiner Hockey to get our group rate. Middle School season will consist of 2 practices for Varsity & 2 practices for JV teams, we anticipate 8 Varsity games & 6 JV games. Home games will be played at Kents Hill School. Away games may require additional travel. Please contact Katie Michaud at 333-1320 or kmichaud@myfairpoint.net with any questions. Team and individual photos will be taken during practices on Monday, November 10th. Click on the link below to download the order form. Fill out the form and bring it to the rink with you that evening. 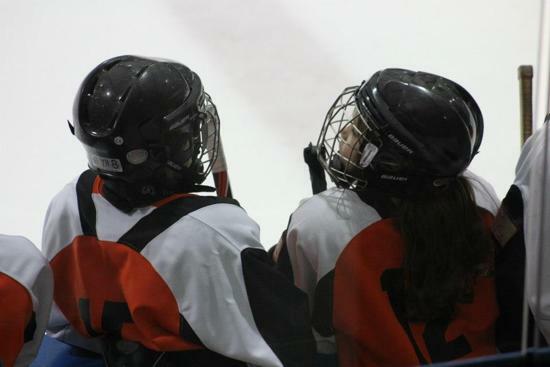 So grab a friend and get ready for another great season of Tiger Hockey! We have been able to keep our fees the same as last year, and we have great practice times just like last year on Monday and Wednesday evenings. Please note - we are holding registrations a little earlier than last year and as a result, our on-line registration app is not functional yet. The web site company says it should be done by the end of the week. If you want to use this online feature to pay in full or to use their automatic payment system - that's great. It will be available soon. In the meantime, if you could send a quick note to our Registrar at: registrar@gardinerhockey.com with the name of your player and birth year, we will keep a roster spot for him / her while waiting for the registration process to be ready. 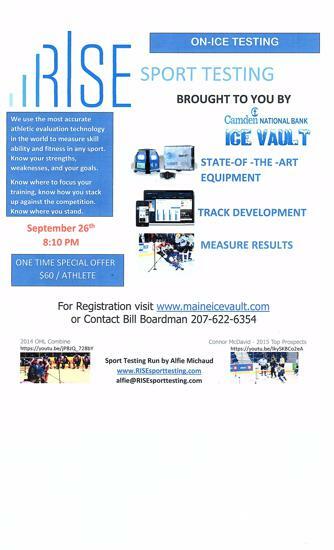 Come check out some current and future women's hockey Olympians and National Team players as the 2014 US Women's National team takes the ice at UNE in Biddeford on September 12, 13 and 14. You can learn more about this by downloading the flyer below. The 2014-2015 season is approaching and in advance of this new season comes an important rule change aimed at preventing injuries and making the game safer for all. This has been distributed to all coaches and they will be working with their respective teams and players, but it is critical that all parents and players are aware of it as well. We need your help to reinforce the coaching we do, especially when it comes to player safety. Please read the information below and if you have any questions, discuss it with your coach. This rule was implemented last year with no consequence to the reporting in the first trial year. PLEASE make your players and coaches aware of this "NEW" rule! THIS season there will be additional game suspensions for overly aggressive players that get multiple "Major" penalties. There is also additional suspensions for coaches who's players accumulate multiple "Major" penalties throuhout the season.The rule is putting more responsibility on coaches to control players with previous penalty history. This rule has been implemented "NATIONALLY" in all of USA Hockey, with safety being the number one goal. Hopefully it will lead to a more enjoyable game for players, coaches and fans alike. (Note) USA Hockey is committed to providing a safe and fair environment for all participants. While the vast majority of player s participate within the rules and respect the game and their opponents, USA Hockey recognizes the need to hold those player s and coach es deemed to be repeat offenders accountable for their actions. Beginning with the 2014-15 playing season, the Progressive Suspensions rule will take affect nationally. (Note) A separate progressive suspension rule for Fighting is covered under Rule 615(f) Fighting . (b) Any team that receives three major penalties in the same game shall have its Head Coach suspended for the next game of that team. For any subsequent game where that team receives three or more major penalties in the same game, the Head Coach shall serve a three-game suspension. For a third game with three or more major penalties by the same team during the same season, the Head Coach shall be suspended indefinitely until a hearing has been conducted by the proper authorities (USA Hockey Affiliate). (Note) The role of the Official is to enforce all playing rules at all times and they are expected to strictly enforce playing rules that fall under the aggressive infraction category. Player s and coach es must be held accountable for dangerous actions and the onus is on them to teach and play the game within the rules. Officials are required to submit a game report immediately following the game for any major penalty falling in the aggressive infraction category, game misconduct or match penalty that is assessed. Gardiner Hockey - PeeWee State Champions! 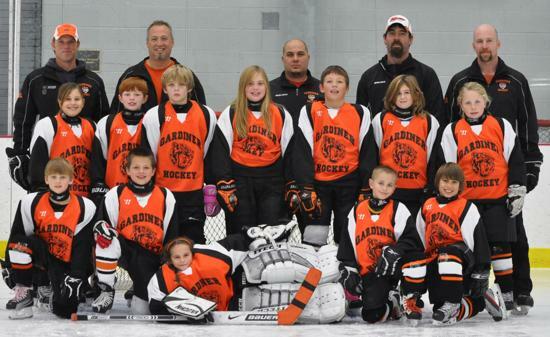 Congratulations to the Gardiner Hockey PeeWees - State Champions for the 2nd year in a row! They played an amazing State Tournament, winning all 5 of their games to defend their title as State Champions! Way to go Tigers!!! Gardiner Hockey - Bantam Zone Champions! 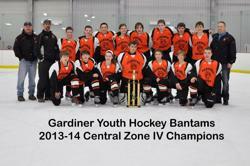 Congatulations to the Gardiner Bantams - the Central Zone Champions for the 2nd year in a row! Best of luck next weekend at the State Championships! · An additional cash prize of $500 will be awarded to the Heart and Soul project that gets the most “sign on” for support during the event. If you are interested in leading a project identified through Heart and Soul, and have not already let me know, please do so ASAP. A list of project ideas generated by the community is attached, also. · You have the opportunity to recognize a “volunteer of the year”, and will have one minute to recognize them in front of the entire community, and say a bit about why they are being chosen, and what volunteer opportunities are available within your organization. · There will be wireless internet access at the school, but they are behind a pretty stout filter/firewall, so if you intend to access specific websites as part of your display, send them to me so that I can test them. If you have any other special needs, please let me know. Click Here to Subscribe to our semi-weekly e-newsletter! 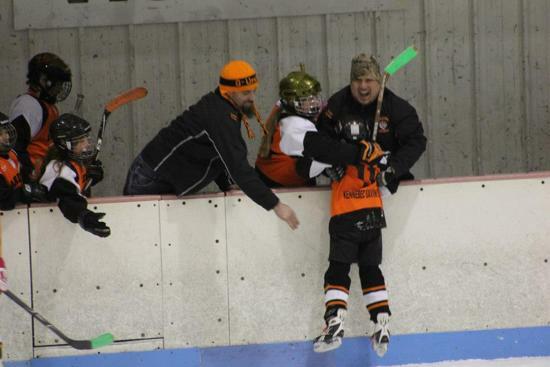 Maine Amateur Hockey has mandated that all coaches, team parents, and adults with regular access to the players complete the online Safesport Training. Click here to go to the Safesport Training page for more information and to begin the training. This is an online course that should take about 90 minutes to complete. It pauses at various intervals for quizzes on the material. In addition, coaches, team reps, & locker room monitors need to have a current background check through MeAHA. If yours is not current, click here to update it. Both of these services are free and are for the protection and well being of our players. What makes Gardiner Youth Hockey Association Special? Here is a hint: It is about more than hockey. 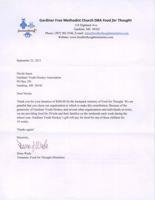 Below is a "thank you" letter for our donation to help support the "Food for Thought" backpack program. We owe a debt of gratitude to all of those who helped with their support of GYHA fund raising programs. 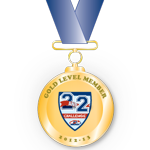 Congratulations again on achieving the Gold level of the 2 and 2 Challenge in 2012-13. By now you should have received your 12 sets of OneGoal equipment as a reward for your accomplishment. To further recognize your achievement, banners are being shipped to you this week. These banners are great for display in your rink to show everyone about your commitment to growing youth hockey. Attached is artwork for a web banner that can be added to your association webpage. Thanks again for the great work, please let us know if you have any questions. Are you, or do you know someone that would like to give hockey a try? 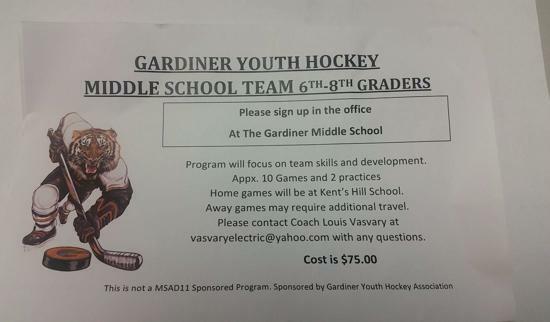 Gardiner Youth Hockey is running a special for all new players to our association. If you did not play for GYHA last year, you are eligible to skate with us for just $99 for the entire season!!! That is the hottest deal on ice! We also have equipment available to get you started. Come see what the excitement is all about and let us share with you our passion for this great sport. 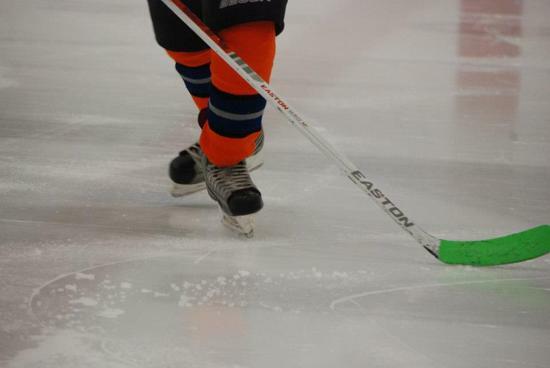 We offer great pracitice ice times (Monday and Wednesday evenings - 6 - 7 for Mites and Squirts, 7 - 8 for PeeWees and Bantams), a full slate of games (over 20 per team) and at least 2 tournaments. There isn't a better value out there! New players are sometimes concerned about the investment involved in playing hockey, especially when they are not sure if they are going to like it or not. In an effort to make it easier for everyone to play hockey who wants to, we will make equipment available - and we have a bunch to share! We have been very fortunate to have received through donations and from USA Hockey a PILE of hockey equipment that your new player can use FOR FREE! * If your child would like to try hockey but you are concerned about the cost of the equipment and whether or not they will like our sport, we will work with you to outfit your player to minimize your initial investment. Come and join us for fun on the ice and we'll work with you to make sure your player has the right equipment to get started. *Note: we are particularly well equipped to supply the smaller sizes of equipment for younger players. We will do everything we can to outfit all players. Equipment is available on a first come - first served basis. GYHA - Fall 2013 - Hockey Season is Coming! 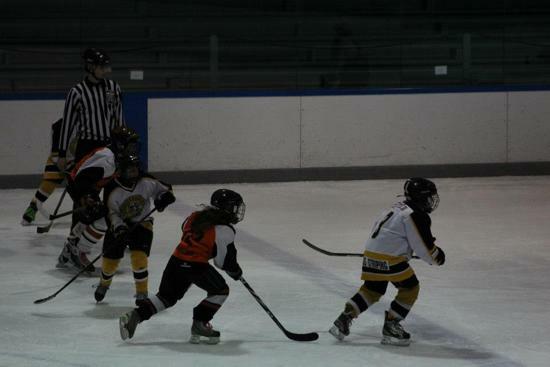 Gardiner Youth Hockey Association hopes that everyone is enjoying their summer. We are very pleased with the Summer Hockey Development program that we offered this summer and want to thank all of the coaches and players who have made it successful. There is one more session on August 14th. Then will be turning our attention to the upcoming season. In the meantime, we hope you enjoy your fall sports. USA Hockey recommends that young atheletes engage in a range of sports. 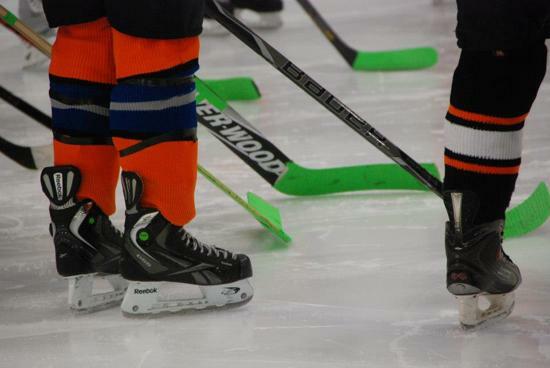 Most every sport offers benefits that will pay dividends when you step back on the ice. For the older players, we are putting the finishing touches on our upcoming Midget Hockey program. This is a great tool for HS age players to get geared up for the HS hockey season. Please check back here for more details. Let's not forget about our 2nd annual "Day of Play". On Saturday, August 10th the Gardiner Waterfront will once again be the home of some exciting and fun activites for the whole family. They day starts with the 5K Run / Walk, followed by the 3 on 3 street hockey tournament, food, and more. Details will be posted here, but what you really need to remember is to come on down to the waterfront for a day of of FUN - and bring friends! This is a great opportunity to help us raise money for great causes (not just Gardiner Hockey), but to share our love for the sport of hockey with our community! See you there! 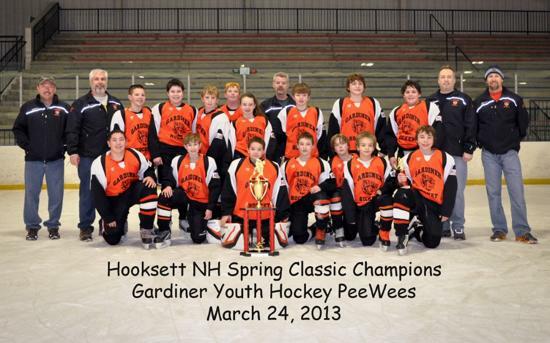 The Gardiner Youth Hockey PeeWees capped of their amazing season by winning the championship at the NH Spring Classic in Hooksett, NH. They faced tough competition from teams hailing form MA, NY and NH. 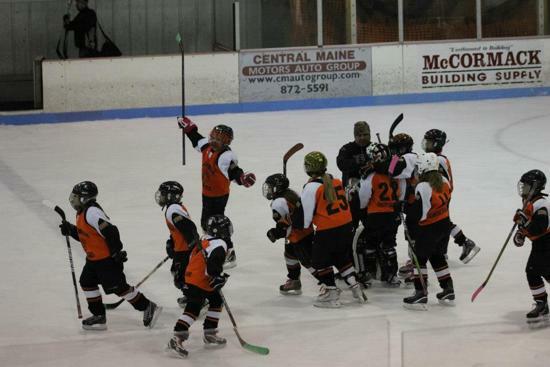 They emerged victorious after a tough battle against the Keene Cobras in the final game, winning by a score of 5-3. More important than the trophies, medals, and accolades, however, is the WAY this special team won their games - as a TEAM. Throughout the season they worked exceptionally hard in practices and in games to continually improve, sharpen their skills and come together as a cohesive unit. Every player on the team contributed in a very significant way, and the end result was a team that skated with energy and confidence. Even in games where they got behind in the score, they maintained their focus and battled back with the confidence that only comes from their trust in one another. 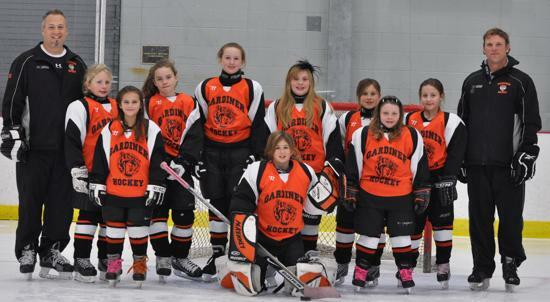 Congratulations Gardiner PeeWees! 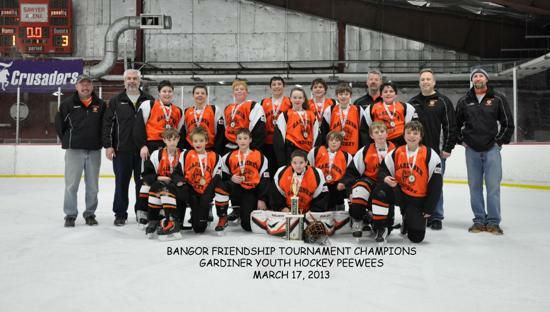 Gardiner PeeWees - 2013 Bangor Friendship Tournament Champions! 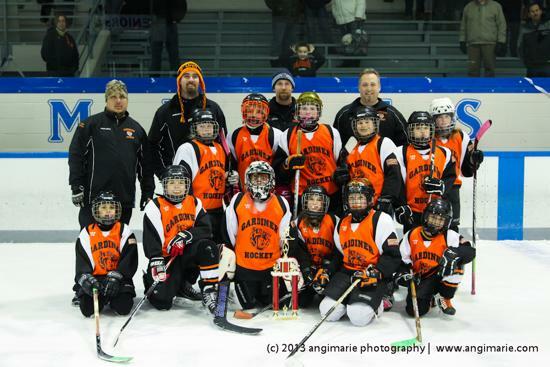 Gardiner PeeWees - Bangor Friendship Tournament Champs! Continuing its winning ways, the Gardiner Youth Hockey PeeWees are Champions once again. This time they come away with the big trophy at the Bangor Friendship Tournament. The team battled some tough teams and even had to come from behind in two games, but ultimately emerged victorious in all 5 games it played. Way to go PeeWees! 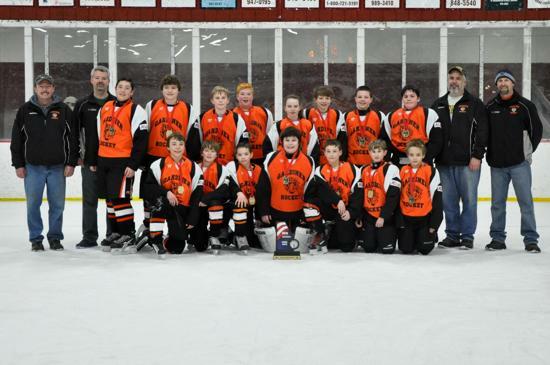 The Gardiner Bantams won first place in the Central Zone Tournament this weekend, earning them a 1st seed entrance from our zone to the State Tournament next weekend. Their path to the championship included 2 wins and a tie during the round robin games followed by a 4-0 win in the championship game. Way to go Tigers! Good luck next weeekend! 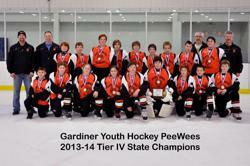 Gardiner PeeWees - State Champions! 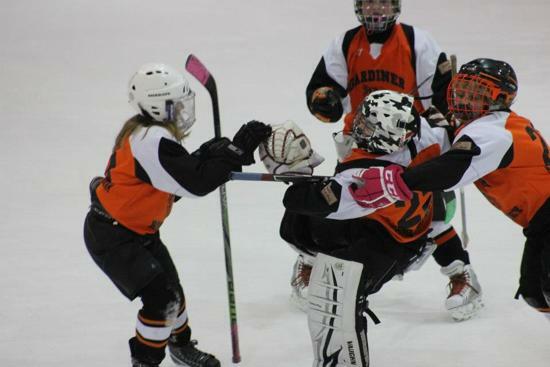 The Gardiner PeeWees swept all 5 of their State Championship tournament games with a combined 33 goals for and only 7 goals against for the weekend. This is the culmination of a great season of hard work by a quality group of players that believed in themselves and played as a team. Way to go Tigers! 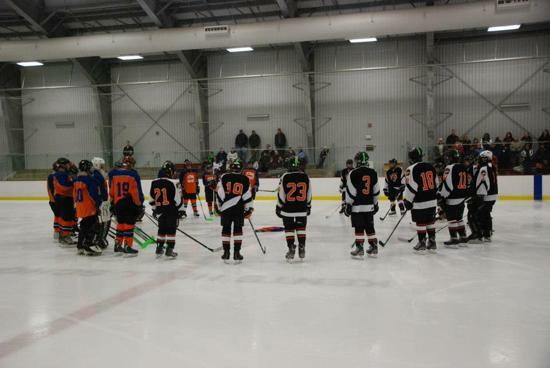 As many have heard by now, the game between the Twin City Titans Orange team and our Gardiner Bantams on Friday, February 1 was a challenging game for more reasons than just hockey. The TC Titans Orange team had lost a player who died earlier in the week. This would be the first game for the Titans since his death. Coaches from both teams conversed before the game to discuss how best to handle it. We wanted to make sure we all stood together as one hockey family to try and cope with this loss. In honor or their fallen player, the Titans had his sweater on the bench with him and at center ice prior to the game for a moment of silence. The Gardiner Tigers all donned green hockey tape on their helmets and sticks with the #4 in his honor. Following the game, we received the following post on our Facebook Page that we felt should be shared with our entire association. 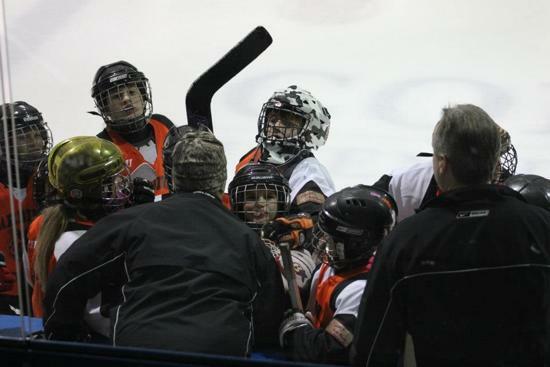 We all play for different teams and different associations, but we all come together as hockey players. Once again - our deepest condolences for the friends and family of Dana Latlippe. THANK YOU VERY VERY MUCH and please send our thanks to your bantam team and coaches. 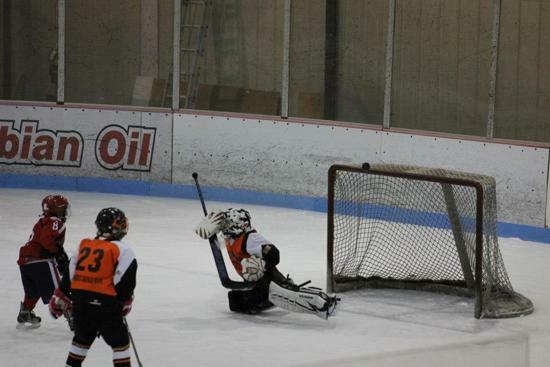 Gardiner Youth Hockey Association and 66 others like this. 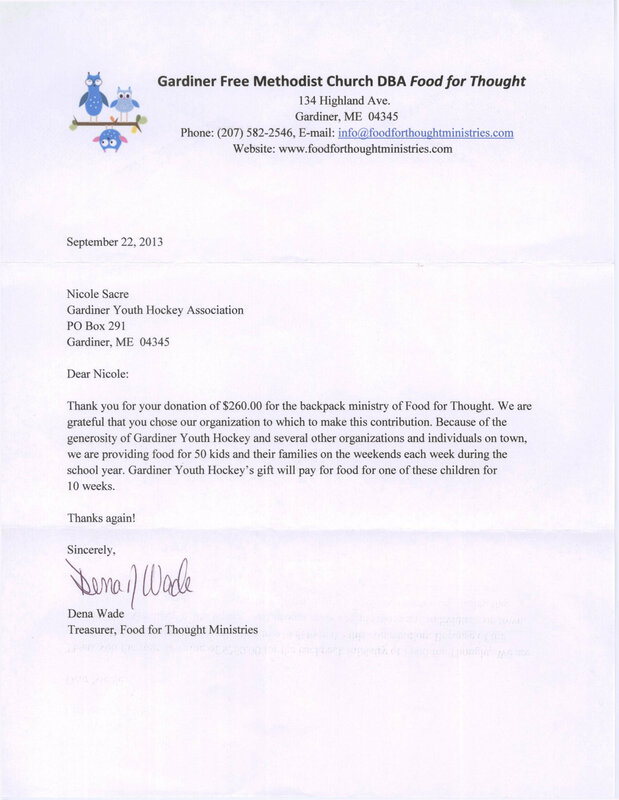 Gardiner Youth Hockey Association You are very welcome and we were honored to be able to contribute in some small way. You lost a player, but the greater 'hockey family' lost one too. We all wish to share our deepest sympathies for your team, coaches, friends and families. Rest in peace Dana. (By the way - our players still wore the green stripes on their helmets and sticks today. Just didn't feel right to take it off). Gardiner Youth Hockey Association I am one of the Bantam coaches, and yes, I will certainly pass on your thanks. Best wishes to all of you as you work through this very difficult time. Lynne Latham-Estey There is a lot of class in Gardiner Maine. 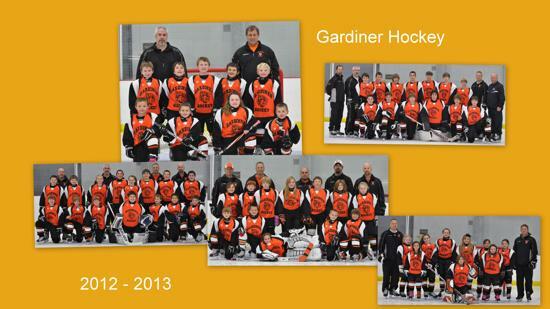 Gardiner Youth Hockey is now on Facebook! Click on the link below to follow us on Facebook. Welcome to the 2014 - 2015 hockey season. Click on the document link below for important information and rules for this season. Let's play hockey!